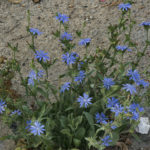 Cichorium pumilum is an annual, erect herb with up to 16 inches (40 cm) tall, with usually 2 to 3 lateral branches or rarely branched from the base. 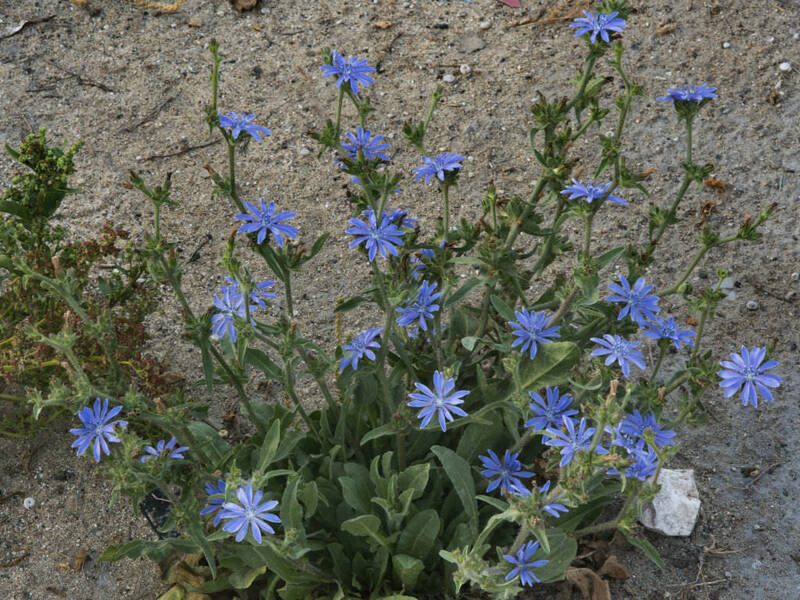 It produces bluish-violet flower heads and fleshy taproots. Seeds can be started indoors five to six weeks before they are moved outdoors. In warm climates, sowing outdoors or transplanting occurs September through March. 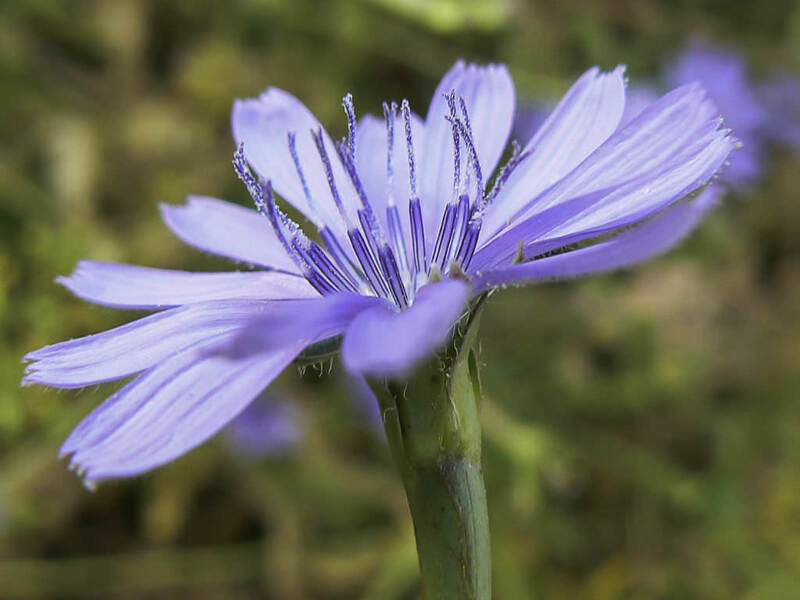 Planting Chicory in cooler climates should be done three to four weeks before the danger of frost has passed. 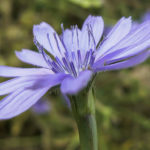 Sow Chicory seeds 6 to 10 inches (15 to 25 cm) apart in rows that are 2 to 3 feet (60 to 0) apart. You can always thin the plants if they crowd each other but close planting discourages weeds. The seeds are planted ¼ inch (6 mm) deep and thinning is done when the plants have three to four true leaves. You can also sow a crop for fall harvest if you choose a variety that has an early maturation date. 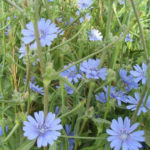 Planting Chicory seed 75 to 85 days before anticipated harvest will ensure a late crop. 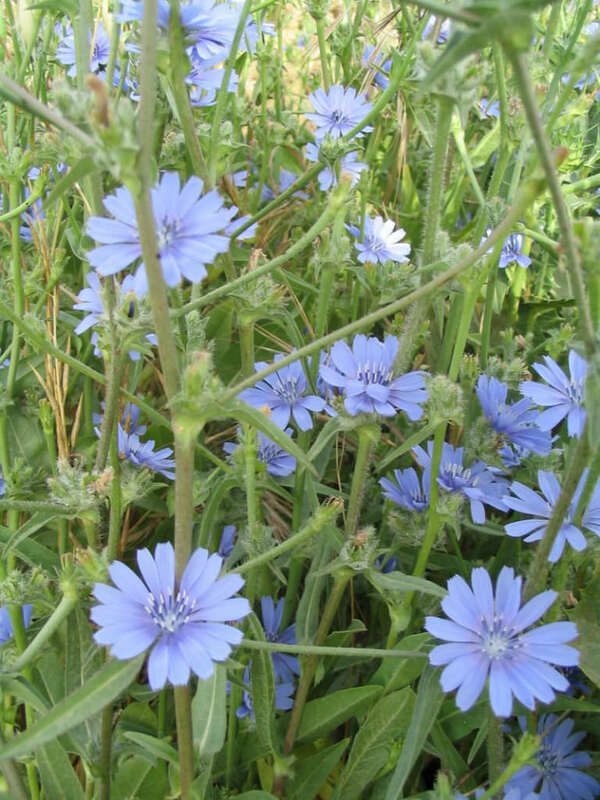 Chicory plants that are to be forced for blanched leaves will need to have the roots dug up before the first frost. Cut the leaves to 1 inch (2.5 cm) and store the roots for three to seven weeks in the refrigerator before forcing. Plant the roots individually after chilling to force the leaves to grow in a tight, blanched head…. 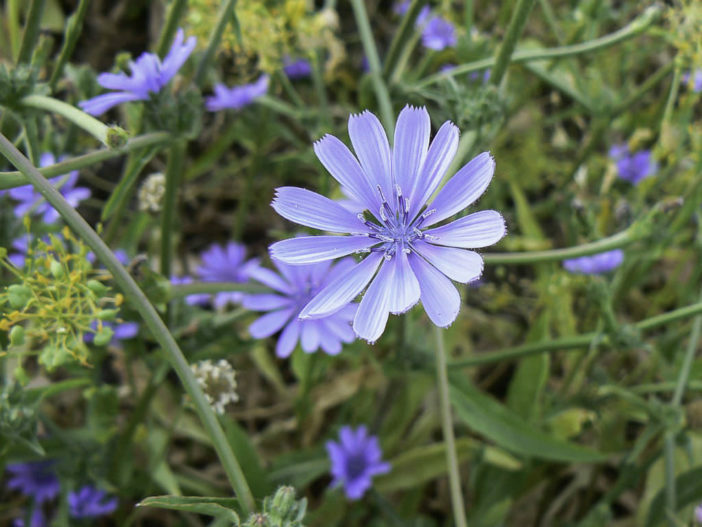 – See more at: How to Grow and Care for Chicory.